The shorter, colder and darker days of Winter can be a time of unbearable discomfort and pain if you have arthritis. So what can you do as we move into winter to help the aches and pains? As with so many things in life – preparation is the key. Below are our tips on what to stay on top of right now! You may wonder why our joints ache begin to more during the colder months. This is due to the barometric pressure in the air dropping which can cause the tissue around joints to swell. 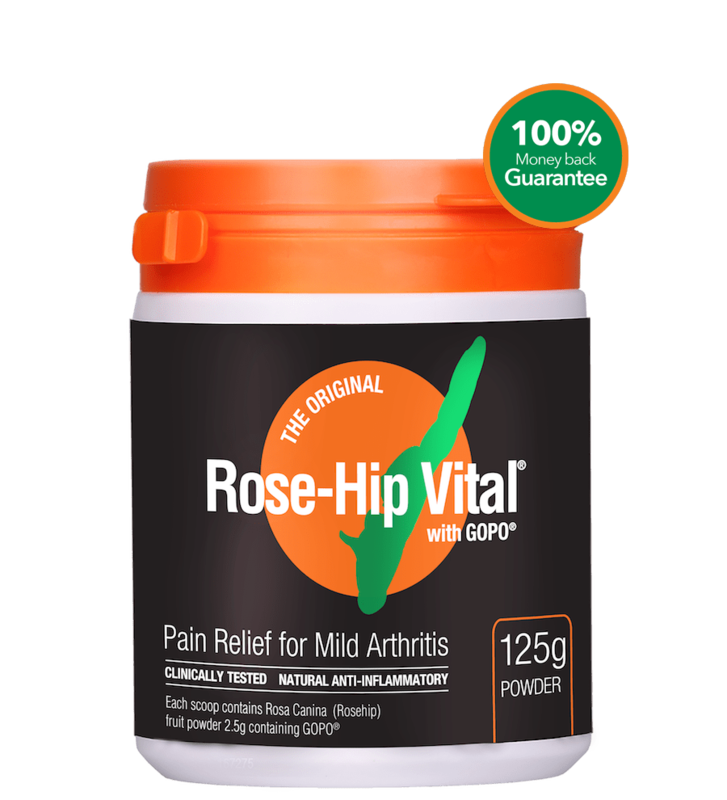 This can be extremely painful for those predisposed to joint pain or suffering from the many forms of arthritis. So, as the temperature starts to drop, you need to keep in mind what you can do daily to ward off winter aches and pain. Start now and you will be thanking us later! While the weather isn’t entirely inviting, it is still really important to stay active. Regular exercise gets you moving, active and energised and has a magnitude of health benefits including helping to improve your mood and mindset as winter hits – and it is vital for people with arthritis. Exercise might not be the first thing you think of doing when you have joint pain, yet it has both short and long-term benefits. A lack of physical activity can make your joints stiff and sore. Exercise doesn’t have to be intense it’s just gotta get you moving! A great way to implement some physical activity into your daily routine could be taking the stairs instead of the escalator, walking around the shops and doing household chores. For those who want to be a little more active, swimming is an excellent low-impact solution. going to an indoor heated pool is a great way to stay warm and get your body moving. Pilates, yoga, dancing and stretching are all excellent solutions too. We share some ways to stay active over winter here. Vitamin and mineral packed fruits and vegetables are crucial to keeping your body feeling good and your spirits up. It may be tempting to pig-out when it turns cold but comfort foods tend to be high in fat, sugar and salt and will leave you feeling lethargic and down. Sweet potato, green leafy vegetables, beetroot, kiwi fruit, mandarins, bananas, garlic and ginger are excellent components for creating a healthy and balanced winter diet. Spicy food is also a great addition. The warming sensation of spicy foods, creams and rubs is well known as a pain-relief solution for those with arthritis and joint pain. Don’t forget to also eliminate the foods that can cause inflammation. It is very easy to become dehydrated during winter as our thirst decreases, so we can easily forget to continually drink water. Drinking two litres of water a day is the recommended amount to keep your body healthy and hydrated. If you are finding it difficult to drink water during winter, there are many great options which make it more enjoyable. Warm beverages are a great solution. They will also keep you warm which is vital to keeping joint pain at bay. When having hot beverages ensure that there is no caffeine as it can weaken your bones. Juices, smoothies and teas which have broccoli, kale and figs provide a boost of calcium while also serving as a delicious and nutritious drink. They’ll keep you hydrated and your joints happy. Winter can be an overall drain on wellness if we don’t keep on top of it. Taking natural supplements can give your diet the boost to help avoid winter sicknesses and keep you doing what you love. 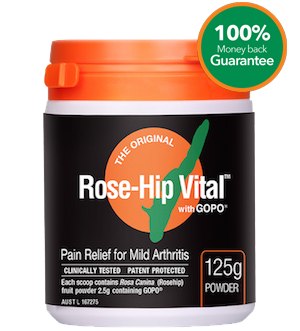 A daily dose of Rose-Hip Vital with GOPO helps with inflammation and swelling in the joints AND it also offers immune system support. 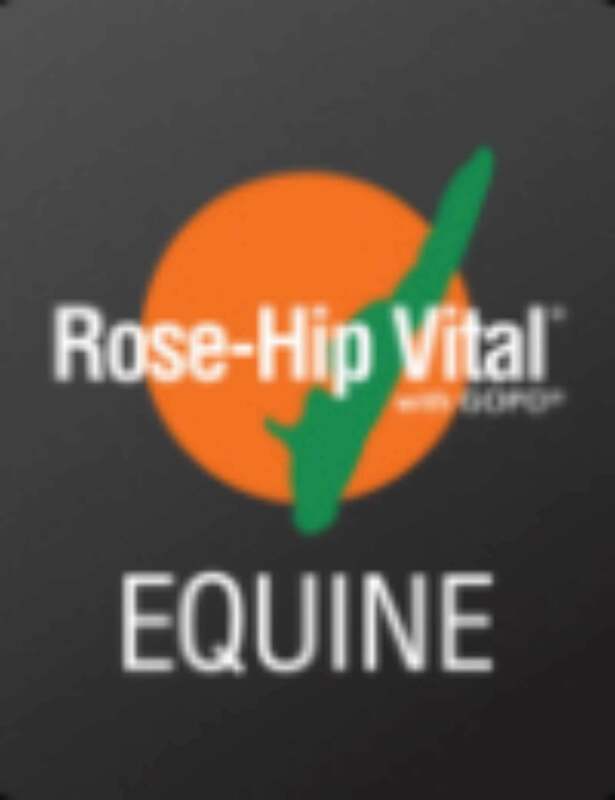 As a source of natural vitamin C and offering antioxidant properties, there is no harm in increasing your daily dose to our recommended loading dose over winter to curb the likelihood of winter aches and to assist you fighting the many lurgies that winter brings. Do you have any health tips for easing joint aches and pains as winter arrives? Share them with us below!